Whimsical and romantic hand lettered card project. Objective: The client came to me with a request for a lettering project that would be used on greeting cards. 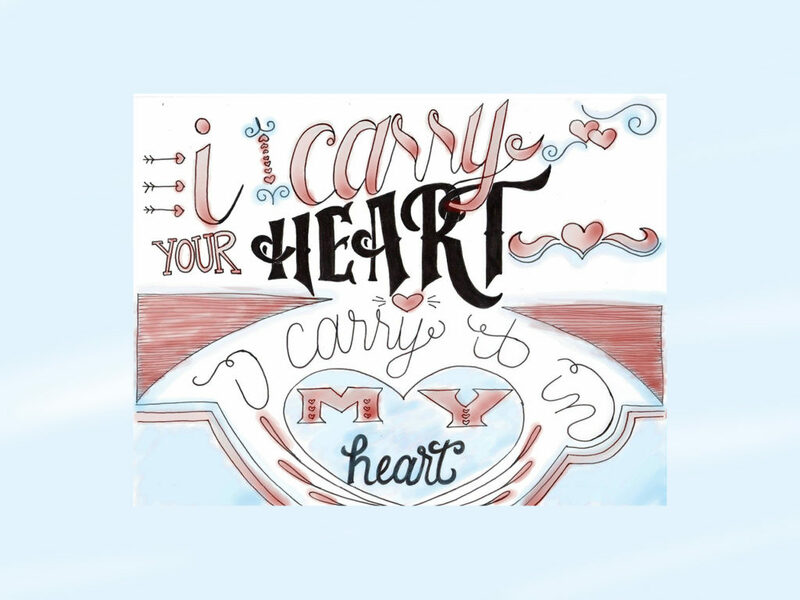 The only instruction Lara gave me for this hand lettering project was the quote “i carry your heart, i carry it in my heart”. The quote was to be in all lower case. I researched some lettering styles and really fell in love with the alphabet that inspired the first “heart”. The interlocking “y”, “r” and “t’ letters is my favorite part of the whole project. I decided to use watercolors to color in the graphic, which Lara loved. The watercolors add to the soft, romantic intent of the quote.